The Capital District Transportation Authority (CDTA) has announced the top finishers of the 33rd annual Bus Operator Roadeo competition held earlier today at UAlbany. More than 30 Operators were judged on a rigid, scored course, consisting of 15 different driving challenges. Local law enforcement officials volunteered time as judges assessed contestant driving skills, knowledge of safety rules and time performance. The top three finishers will represent CDTA at the New York State Operator Roadeo held in the fall. NYS Roadeo top finishers will have the opportunity to compete in the International Roadeo held annually in the spring. Mayor Bill de Blasio and Corey Johnson, the City Council speaker, shook hands Monday on a $89.2 billion city budget that included a major concession by the mayor to provide funding for discounted subway and bus fares for some of the poorest New Yorkers. The budget continues the sustained rise in spending that has come on Mr. de Blasio’s watch. It is $4 billion more than the previous budget, including $254 million more for the Metropolitan Transportation Authority, called for by Governor Cuomo and initially resisted by the mayor. 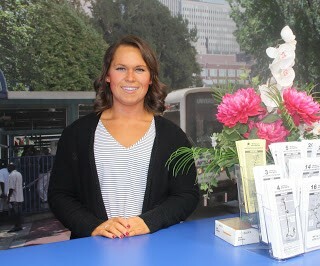 Alyssa Mancinelli is the new face in the customer service center located in the bus terminal at the NFTA headquarters in downtown Buffalo. Prior to this position, she worked as a Metro bus Operator for the past four years out of Frontier Garage. Although she loved driving for the company, having the opportunity to work as an agent was very appealing to her. In her new role, she will be assisting customers with their Metro travel needs including reduced fare and PAL. In her free time, she enjoys spending time with her family and her three-year-old son James. In the fall, she plans to go back to school to finish her degree in business. Governor Andrew M. Cuomo has announced a $62 million investment as part of the groundbreaking Pedestrian Safety Action Plan, a multi-agency initiative to utilize engineering, education and enforcement campaigns to enhance pedestrian safety across Upstate New York and on Long Island. More than $22 million is going toward the first batch of pedestrian safety projects on state roads, which are currently underway, while $40 million is being invested to enhance pedestrian safety on local roadways. Lawmakers at a hearing Wednesday grabbled with how to prepare the nation's infrastructure for the coming wave of self-driving vehicles. The Senate Committee on Environment and Public Works heard from transportation experts on the work to be done to improve both roads, broadband as well as the safety technology behind autonomous cars. Sen. Shelley Moore Capito (R-W.Va.) raised concerns about rural areas, where broadband internet is often spotty. Pennsylvania State University has received a $2.5 million grant for a transportation research program involving several other universities. WJAC-TV reports Republican U.S. Rep. Glenn Thompson announced the grant Monday. The study will cover different modes of transportation, such as highways, rail and air. Its focus is "improving the durability and extending the life" of transportation infrastructure. Other universities involved include Penn State Altoona, Lehigh University, and Virginia Tech. "Have you ever hit a pothole and instantly cringed? We know that feeling is heightened when you're bringing home a carryout order from your local Domino's store,” Domino's USA President Russell Weiner said in a statement. “We don't want to lose any great-tasting pizza to a pothole, ruining a wonderful meal. Domino's cares too much about its customers and pizza to let that happen." 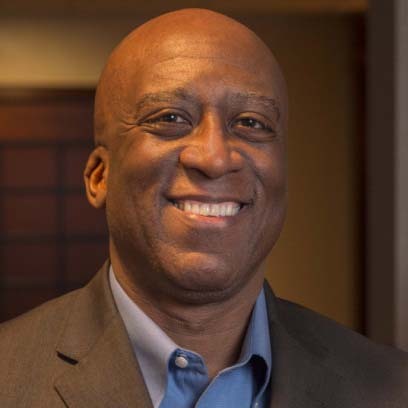 Dr. Shelton Goode, Executive Director of Diversity and Inclusion, Metropolitan Atlanta Rapid Transit Authority (MARTA), will present two sessions at the NYPTA Fall Conference on Thursday, October 25. He will present a general session entitled "Diversity and Inclusion: Creating a Culture of Equality," followed by a breakout session, "Inclusion and Equality: Driving from Awareness to Action." Dr. Goode, the author of Diversity Managers: Angels of Mercy or Barbarians at the Gate, learned the value of diversity management first-hand by rolling up his sleeves and providing CEOs and senior executives with counsel, insight, resources, tools and innovative ideas that helped advanced their companies’ strategic business goals. For the last 10 years, he has leverage seasoned leadership and consulting skills to help companies implement diversity manage initiatives which enhanced their talent acquisition, employee retention, and employee engagement strategies.